Jonathan is quite simply an amazing craftsman! He spent time from the beginning understanding what I wanted and then was able to design the perfect shelves for our lounge. He is a perfectionist - every line and cut had to be perfect. Not an easy way to be when dealing with an older property where no wall is square. He in effect made his job harder by insisting that the front of the top of cupboards was the edge of the wood. 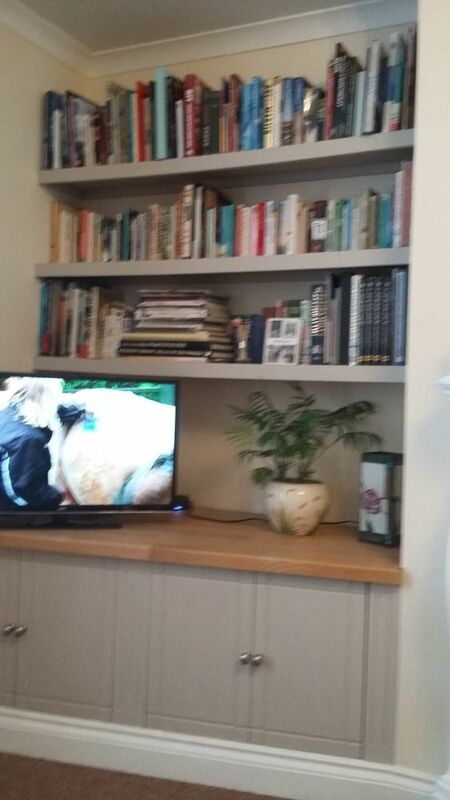 This resulted in a seamless unit but a difficult task as the back of the cupboard top had to be angled. The routing on the doors is also perfectly executed - giving a stunning finish to the cupboards. All the fixings of the shelves are also hidden. 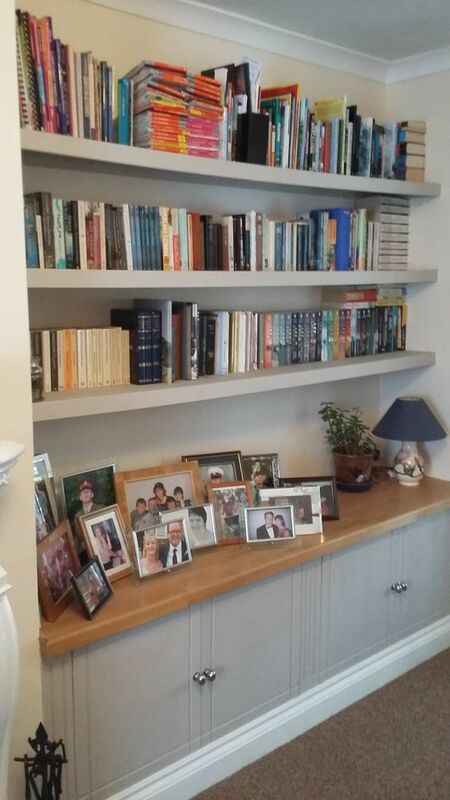 Every visitor to our home admires the cupboards and shelves - I would not hesitate to recommend Jonathan - his craftsmanship has made our lounge our pride and joy.